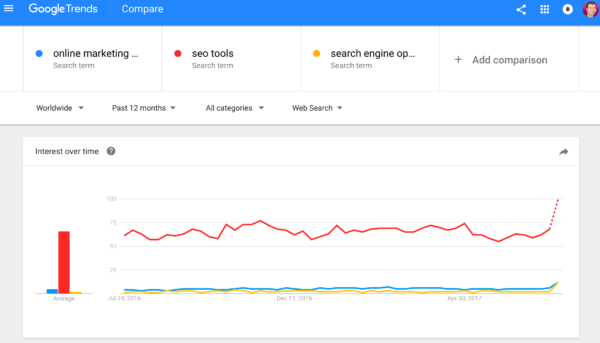 One of the most frequently asked questions by fellow SEO consultants probably is: “What online marketing tools do you use?” In the ever-changing SEO world, it was time for us to update our list with the present day tools we use on a very regular basis in a variety of projects. Some of these tools are mainly for SEO use, but they all come in handy for every website owner. 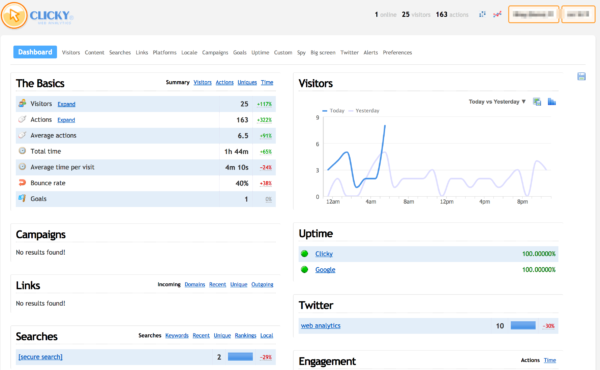 Use them to check on your site’s health, improve communications and keep track of your traffic. And these are, of course, all important aspects of online marketing. So let’s dive straight in! 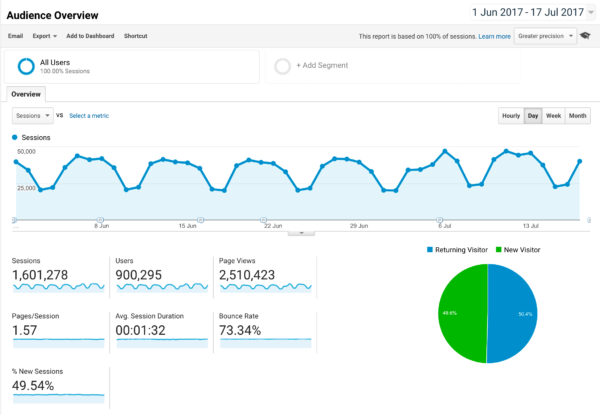 To install Google Analytics on your site, you have to put the Google tracking code on every page of your site. If you use a CMS like Joomla, Drupal or WordPress to create your site, you should find this easy to do, using one of the freely available extensions, like MonsterInsights. When indexing your site, Google looks for keywords in the domain name, in the Title tag, in the Heading (H1, H2, H3…) tags, etc. So check how Google sees your site to ensure that everything is clear. If you want to sell Motorcycles on your site, but all the keywords are Sales, Training and Special Offers, Google won’t send you much traffic. Also, when your content is buried under loads of paragraphs about other stuff, it won’t work well for your online marketing. Wirify allows you to see the relationship between text and graphics on a page. This is practical when you’re looking at complex pages and you want to see the relationship between the number of graphics and the amount of text on a site. Wirify lets you see where these elements appear respective to one another in a schematic way. It’s also a useful tool if you just want to use the layout of another site as inspiration for your own site. To use this tool, just visit the Wirify page, drag the Wirify by Volkside link into your bookmark toolbar. 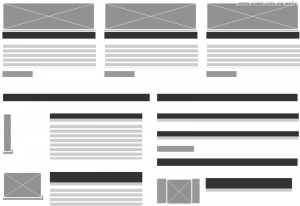 Visit any page and click the link to see a wireframe version of your site. 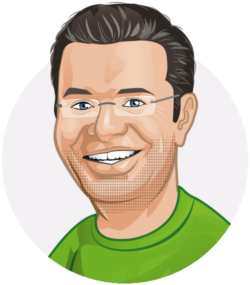 MajesticSEO lets you see all the people who link to your site. Incoming links from other relevant and well-linked websites are crucial to ensure that your page will rank well in Google listings. This tool is also useful to see who links to your competitors. Checking that will give you new people to contact for your link building. Recently, we interviewed Dixon Jones, Marketing Director of Majestic, and he shared his views on link building and using Majestic. You can read it here. Alternatives are Open Site Explorer and aHrefs. 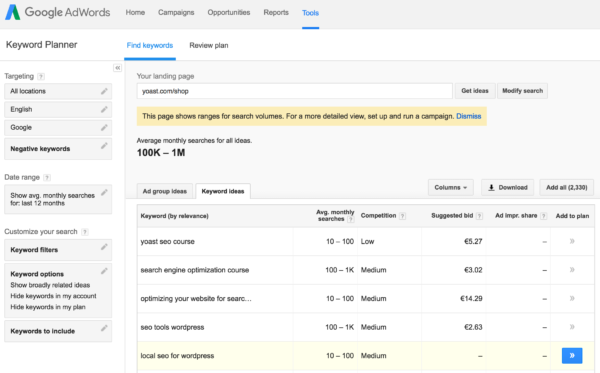 Another important tool for evaluating the usefulness of keywords is to examine them with Google Adwords Keyword Planner. You input a series of search terms and Google shows you how many people searched for those terms, and related terms, both globally and locally. Click on the headings at the top of the table to sort by keyword, by the number of searches or by competition. Competition is a measurement of how many people are actively marketing that term through Google Adwords. This gives you an idea of how hard it may be to rank for the term. As time goes by, the number of browsers people use to surf the Internet increases. 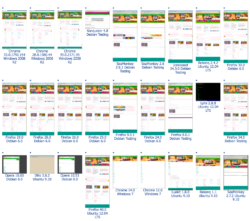 Chrome, Safari, Firefox, Mozilla, IE, Opera… and for every browser a dozen or more versions. BrowserStack (free trial) makes it easy to see how your page looks in all these browsers, highlighting any issues that may make the site unusable. An alternative online marketing tool with the same purpose is BrowserShots, see screenshot. For anyone who creates websites, Contrast Ratio Calculators are critical. These allow you to check colors, and indeed entire pages, to conform to international accessibility standards. One such test is Lea Verou’s Contrast Ratio. It will instantly tell you if two colors are a match or not. Remember when choosing colors for your website that a pretty large percentage of men around the world is, at least partly, color blind. Having good, contrasting colors in your design is important for them! 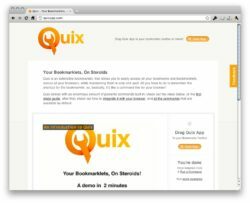 Quix is an extensible bookmarklet, developed by Joost himself. 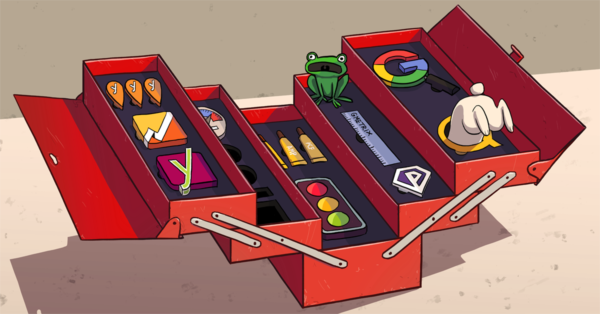 It allows you to easily access all your bookmarks and bookmarklets, across all your browsers, while maintaining them in only one spot. All you have to do is remember the shortcut for the bookmarklet. Basically, it is a command line for your browser. So you can type ‘bitly’, and bring up a tool to shorten with bit.ly, etc. If, like most developers, you have fifty browser-based analysis and editing tools you use every day, Quix will save you many clicks and keystrokes. The web is always coming up with new tools, new techniques, and new utilities, but this list provides a quick overview of things we use and refer people to regularly. We hope it proves useful for your online marketing efforts. Of course, we understand that this list might be a bit basic if you’ve been doing SEO for years. So feel free to drop your suggestions in the comments. Thanks! Thank you for sharing with us amazing tool lists. 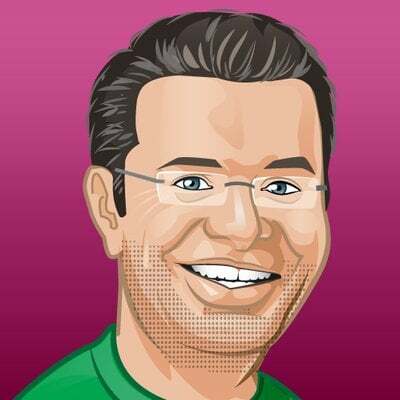 Awesome post, It gave me the bucket list for SEO hacks. Many of them I was unaware of except Google Analytics and Google Search Console. Great post. Many of the tools here I’m getting to know them for the first time. Thanks. 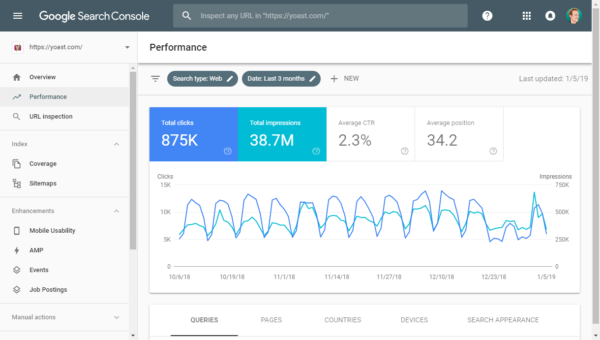 Google Search Console and Google Analytics should be everyone main arsenal for your website. Thank you. Very useful insights. I’ll definitely give a try to some of them. These tools are great if you really want to monitor your site’s audiences and conversions but then I only have one objection to this post. Get Clicky is just similar to GA since GA also features a real-time navigator where you can check which page they leave and for how long they have stayed browsing your pages. Thanks for the addition. Some prefer GA, some Clicky. Awsm SEO Tool to increase your website rank and Business Traffic. Nice SEO tools to increase your business traffic.